You’ve heard of them before, so why not listen to them now? Girl Power in music: I don’t know about you, but it’s like comfort food to the ears for me. Whenever I’m sick, or stressed, I reach for some tunes that didn’t get too much airplay (or only come up in special cases). This week was no different, seeing that I’m sick in bed during finals. This week’s playlist is going to focus on those underrated female pop artists (and female fronted pop bands). The beauty of this playlist? You’ve probably heard the songs at least once before — and they’re all perfect for dancing away your stress this finals season. I took a few cues from both Tom Hanks’ video look and Carly Rae’s, getting the shirtdress in on the action with a graphic sweatshirt to layer over it (because, let’s face it, spring can be sunny and chilly in the same minute). The sneakers keep everything simple, and are perfect for running to the set of a music video or your last presentation of the year. 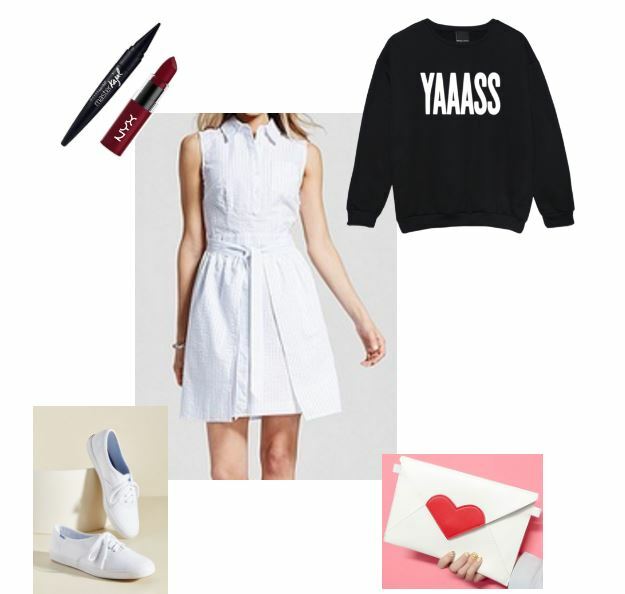 While the outfit may seem a bit plain, it’s also a blank canvas for your personalizing needs! Switch the sweatshirt with a cardigan, or throw some fun colored tights under, or just wear it with an exuberance only found in Jepson’s music. Okay, here’s a cold, hard fact: Amy Renee Noonan from the duo Karmin is an underrated rapper. Sure, she started out as a singer, and rapping came a little after, but the fact that she can keep up with the likes of Watsky? Girl’s got flow. Another reason why I love her? Her outfits are cute, quirky, and easy to mimic. Even when you can’t find exactly the right top, you can still nail the feel of her outfits. To emulate her outfit in the video (in a more low-key way), reach for a light colored shirt, so if your cute (and colorful!) bralette peeks through, it’s noticeable and understated. An oldie, but a goodie. While the tune is definitely poppy in style, the sassy message makes this a tough girl confidence track, as the Ting-Tings probably intended. With overalls (and their many variants) coming back into style, I couldn’t help but try to update the look for a grungy night out. 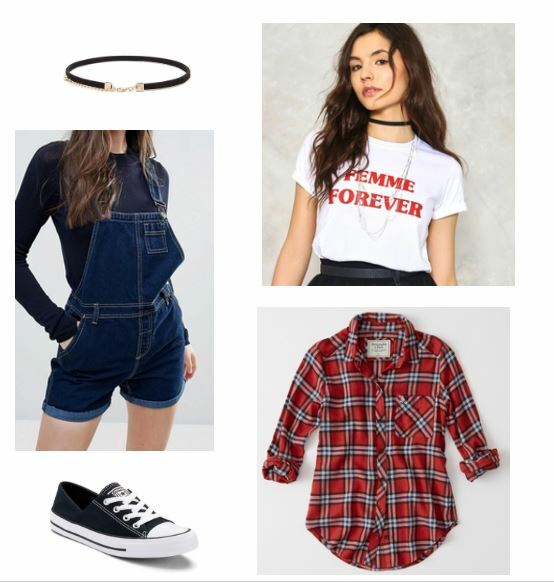 Tuck the t-shirt into the overalls, and throw the flannel over top. If your nights out require a lot of walking (or dancing, or they just happen to take place where a lot of people aren’t watching where they’re going), sneakers are the safest and comfiest option. Finish your look with a choker to keep up with the trends, and you’re ready to tell off anyone who calls you anything but your name. What do you think? What are your favorite underrated artists? What songs are you jamming out to now — and what songs should inspire my next outfits? Let me know in the comments!